Exams, Lunch and First Vlog! The day has finally come and gone (almost)! Yesterday I sat my one and only exam, Media Communications IIA, which is essentially the study of media theory. It was a three-essay-within-three-hour exam and I was relieved once it was done! Afterwards I headed out to lunch for a friend’s belated birthday. It was a place called Imperial Lane in Auckland’s CBD, which has an all-day breakfast menu. 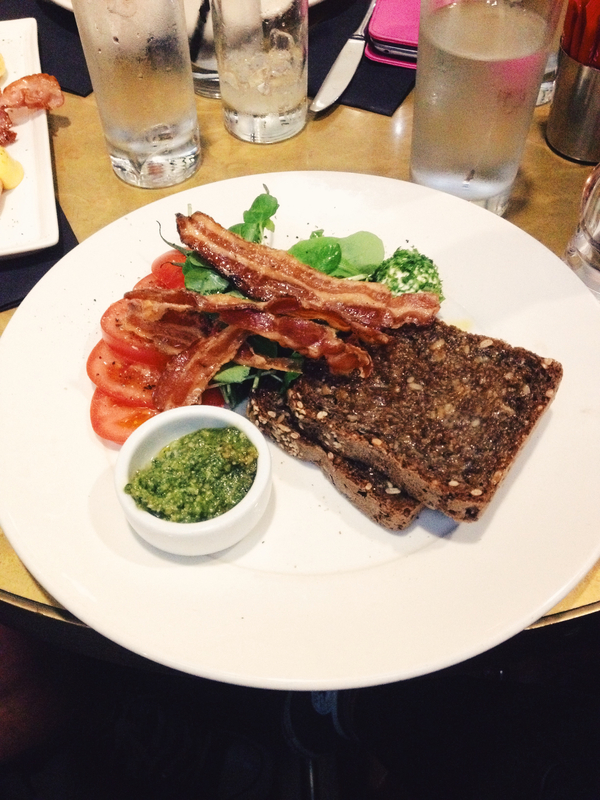 I got the toast with sides, my sides being: sliced tomato, greens, watercress pesto, fresh mozzarella and crispy pancetta, yum! Afterwards it was off to the mall with Mum to buy last minute things for the trip. Boring things like padlocks and contact lenses. And then (big day for me yesterday,) I went off to the cinema with Morgaine to see 22 Jump St. Oh ma gawd. It was hilarious. At the moment my verdict is that it’s maybe not as funny as the first, but I’m going to have to watch it a couple more times to completely make up my mind, (I saw the first film over six times… so this one definitely deserves a couple more views at least). And finally… I’ve uploaded the first of my vlogs onto YouTube! Yes, the editing and filming is quite shoddy (just wait until the Travel Haul- it’s even worse,) but I’m not trying to be hugely professional about this, it really is just for something a little bit different, and as extra content for this blog. The video is just a quick little introduction video really. Please check it out and let me know what you think! If you have any ideas of what kind of videos I should do next leave a comment below this post, or on the video! Hi, I’m not too familiar with AOL, so I’m not sure whether I’ll be able to help you, but thank you so much for you comment. I hope you can find someone to help you out!